Dimensions 0.19 by 8.50 by 11 in. 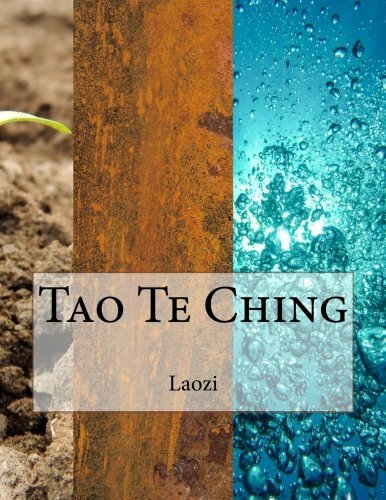 Amazon.com description: Product Description: Original version of The Tao Te Ching The Tao Te Ching is fundamental to the Taoist school of Chinese philosophy and strongly influenced other schools, such as Legalism and Neo-Confucianism. This ancient book is also central in Chinese religion, not only for Taoism but Chinese Buddhism, which when first introduced into China was largely interpreted through the use of Taoist words and concepts. Many Chinese artists, including poets, painters, calligraphers, and even gardeners have used the Tao Te Ching as a source of inspiration. Its influence has also spread widely outside East Asia, aided by hundreds of translations into Western languages. from Chartwell Books (August 31, 2010); titled "Tao Te Ching: The Classic of the Way and Its Power"
About: In eighty-one brief chapters, Lao Tzu's Tao Te Ching, or Book of the Way, provides advice that imparts balance and perspective, a serene and generous spirit, and teaches us how to work for the good with the effortless skill that comes from being in accord with the Tao - the basic principle of the universe.